For most customers, the peak of their interaction with an insurance company, happens when they submit a claim. The insurance claim process is a key touch point in the customer life-cycle and a critical period when the insurance agency has the opportunity to forge a sense of customer loyalty. Yet most insurance companies fail to meet customer expectations at this critical juncture. Setting loose a cycle that ultimately leads to customer abandonment to the competition. Customers are disaffected because while they can get a quick and user-friendly response when they make a transaction at their bank, order a pizza over Siri, or make an appointment at their dentist, when it comes to submitting an insurance claim, processes are tiresomely slow. Complexities in the industry and the multiple parties involved in a claim, mean that many insurance companies are applying the same manual operations to process claims as they did decades ago. Operations are burdened by an overwhelming paper trail that involve extensive documentation requirements to ensure that policy standards are maintained. The solution is to be found by digitizing the entire insurance claim process. The robust capability of a digital customer engagement platform enables insurance agencies to effectively meet customer expectations while simultaneously ensure policy standards are thoroughly adhered. A digital visual IVR module that supports customer self-service. 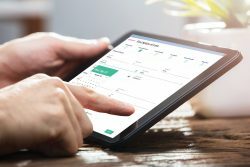 A collaboration module that supports communication between the customer and the assessor, including the ability to share screens and exchange content. A smart forms or digital process builder, this provides the framework in which automated process journeys and forms can be created and served to customers. 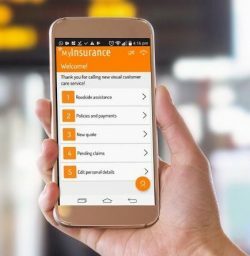 With numerous parties involved in any one single insurance claim – from the customer, the broker, the agent and the assessor – this solution supports a higher level of collaboration as well as the coordination and exchange of information. The Digital Engagement solution enables agents to automate the entire insurance claims process by digitizing every step, from submitting a first notice of loss, to providing assessments and signing documents. This process can ensure that information is sent to the right stakeholder at the relevant time, providing minimal room for error and miscommunication. The move from manual to digital significantly cuts out time consuming back-and-forth processes. Instead, assessors can maximize their engagement with customers over a digital platform. In just one interaction, assessors can efficiently gather relevant information, such as descriptions of loss and pictures of damaged property. Assessors can collect signatures through digital claim forms, that can be custom built to include specific terms and conditions. The ability to keep interactions exclusively on a digital sphere, drastically shortens the claim submission and authorization process. When it comes to harnessing available technology to optimize customer experiences, most insurance executives will confidently tell you they’ve got it all. And indeed they do. They’ve got the company app, they have social media channels that they nurture everyday, they’ve got the webpage designed for desktop and the one designed for mobile, they’ve got the elegantly integrated CRM and a good chance there’s a chat bot thrown in the mix too. However, a key element that is still missing is the seamless integration afforded by an omnichannel solution. 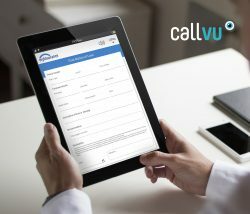 CallVU’s omnichannel engagement platform enables insurance agencies to effectively meet customer expectations because it repurposes digital assets that are already at the company’s disposal, towards serving customers and completing tasks. The operational efficiency described above is made possible because of the advanced level of omnichannel integration that makes processes seamless, and far more satisfying.